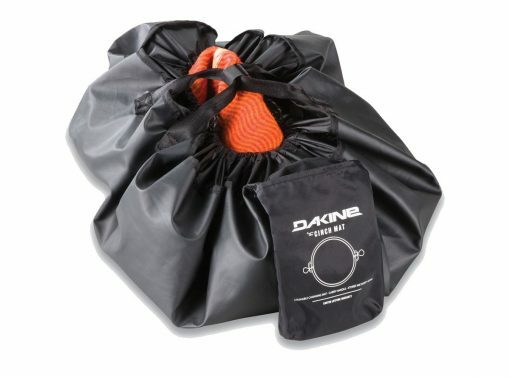 The Dakine Cinch Mat is a mat to stand on while changing in and out of your wetsuit and then it cinches up to become a dry bag to store and transport all your wet gear home from the beach. Keep your wetsuit clean and your car dry after surfing, sailing, kiting and or windsurfing. The Dakine Cinch Mat also has a stash pocket that it can fold into to stow away. It has handles for easy carrying, dual sided cinch pull to easily close up the bag. 3″ sidewall to make sure it does not leak in your car. 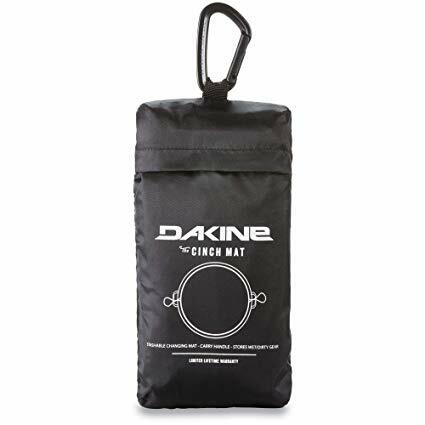 The Dakine Cinch Mat is the most complete surf mats that we have seen to date. The double sided draw string allows you to easily open and close the bag, the stow/stash pocket is great for keys and for packing up the mat. 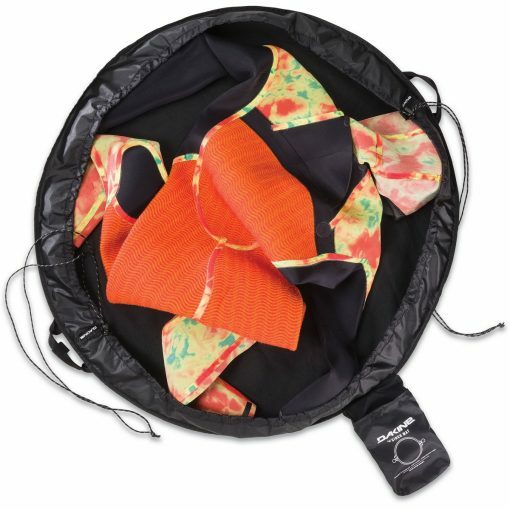 the Sidewall prevents the bag from leaking and prevents gear from falling out. The 2 handles make it easy to carry even when full of all of our heavy wet gear.